Using public transports can be a good way to save money to visit a city. But you need to know how to use them in order not to get a fine. 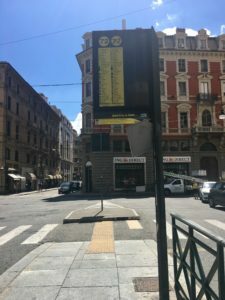 So, here is a little tutorial on how to use public transport in Italy. 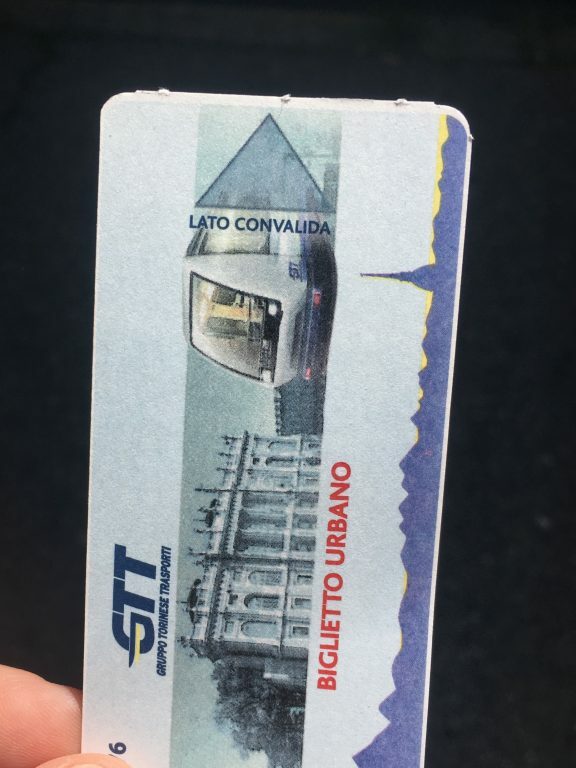 Italian transports are divided into: bus, tram, metropolitana (subway) and metropolitana leggera (a subway which travels on the surface, or the newest version of tram). First of all, the price. It may vary from city to city. 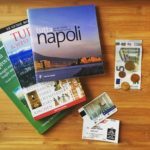 But in the main Italian cities like Rome, Milan, Torino, it is 1.50 euros. It can last from 60 to 90 minutes from the moment you validate it. 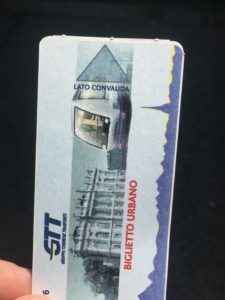 But if you need to use more buses whitin the same day, consider the possibility to buy a daily ticket (“biglietto giornaliero“). 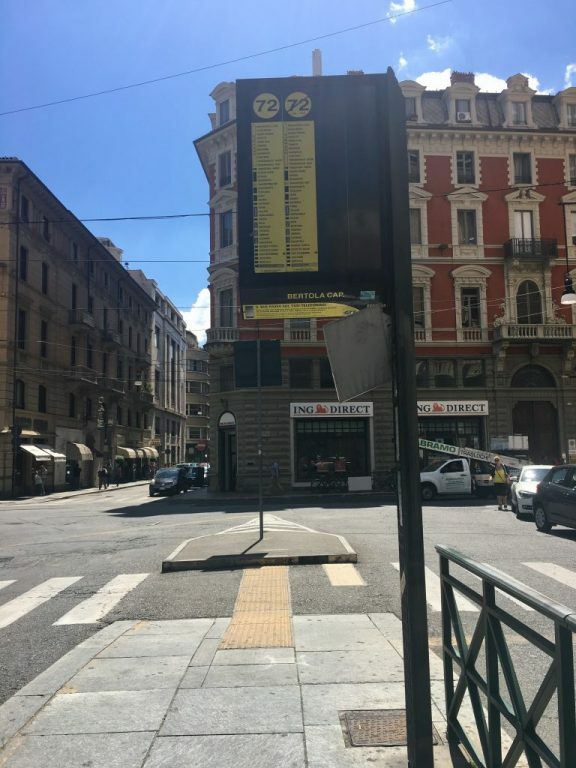 In Milan it costs 4.5 euros, and it lasts 24 hours from the moment you validate it. So, taking tram and buses to visit at least two attractions in two different areas allows you to save some money. As in many city around the world, if you punch a ticket in the subway, you can use it for 60/90 minutes also on tram and buses. But if you validate the ticket on a bus or tram first, in some cities You won’t be allowed to access the subway with the same ticket. So ask the tourist board or the hotel if you use single tickets, the daily works both ways. In some small towns, there can be the possibility to buy tickets on the bus directly from the bus driver. 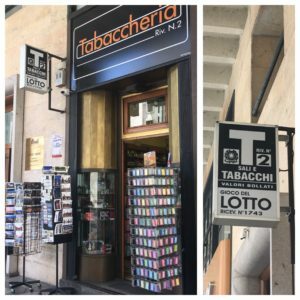 But in the majority of the case, tickets must be bought at a Tobacconist. It is a shop that displays this sign outside. Tickets can be bought also in bars and caffetterias. 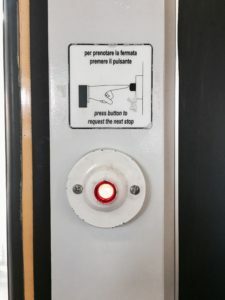 In this case, they will display a ticket on the door to inform about this opportunity. Also your hotel can provide this service, as well as newsagents and tourist offices. The latter might propose special tickets for tourists that last one day or more though. 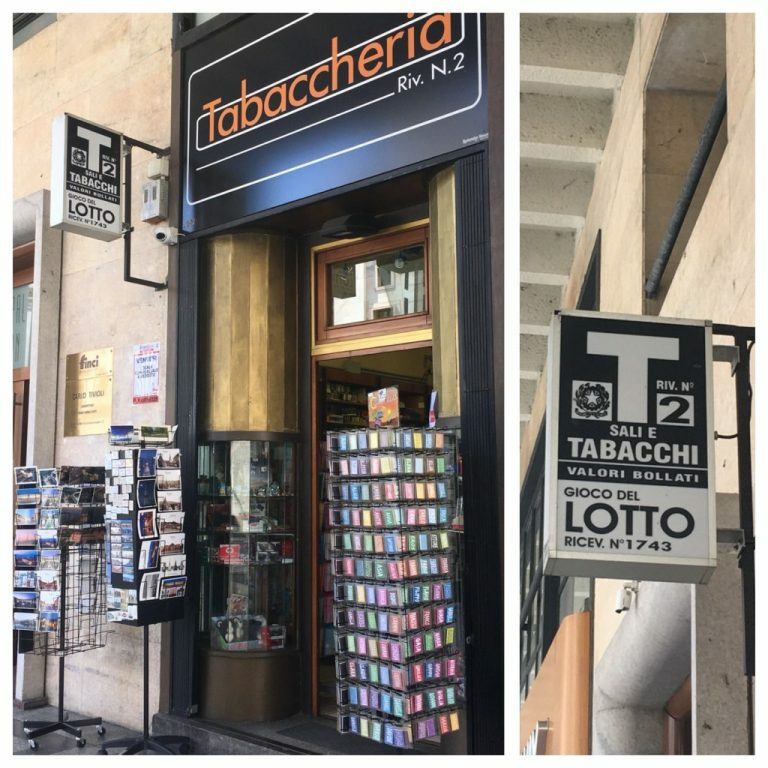 But if you want to buy a normal ticket and want to be sure to find it, go to the first open tobacconist that you see. It is not easy to find automatic machines, so, try to buy your tickets before the shop closes. Now that you have the ticket, buy a public transport map. You can also download it from the internet, ask your hotel or to the tourist board. Discover the stop you have to reach on websites or tourist guides. Once you know the number of the bus and the direction to take, go to the nearest “palina”, that’s how we call a bus stop. It looks like this. Be prepared to chat with people near you. 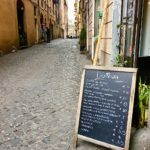 We are Italians, we are curious and chatty, especially in the south. Your bus or tram has arrived. Step in using eather the front or the rear door. This is an unwritten rule. You may notice some people not following it. But believe me it exists. You enter from the rear or front door and exit from the doors placed in the middle. Although, hopping off from the middle isn’t considered a crime in Italy. The next thing to do is to look for a validating machine. It looks like this. 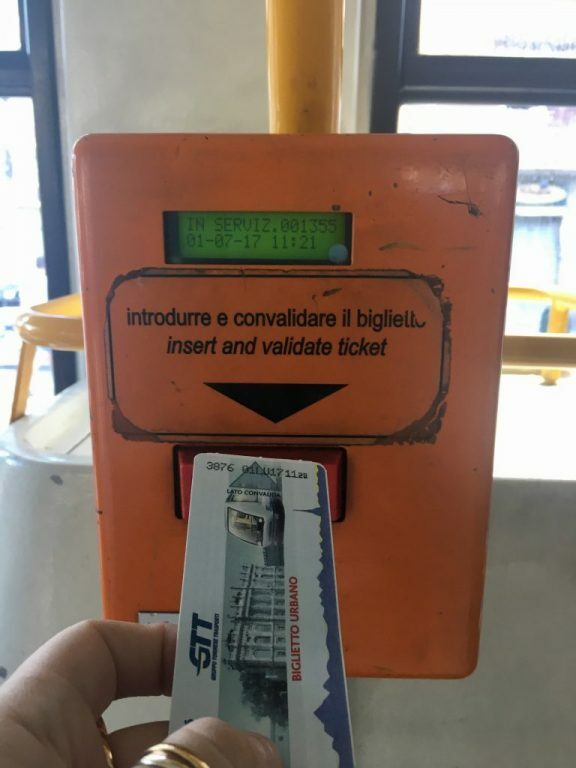 Insert your ticket and wait for the “diiing”. If you do not punch your ticket and there is a control, your will get a fine. So, remember to do it. Find a sit and wait for your stop. The next stop should appear on an electronic display inside the vehicle. But there can be none or it might not work. In this case you need to ask help to the driver or the other Passengers. People using public transport know the stops very well, as well as the driver does. I know, it is not nice in 2017. 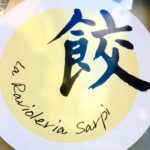 We (mayors of Italian towns and cities can you read me?) need to fix this point. 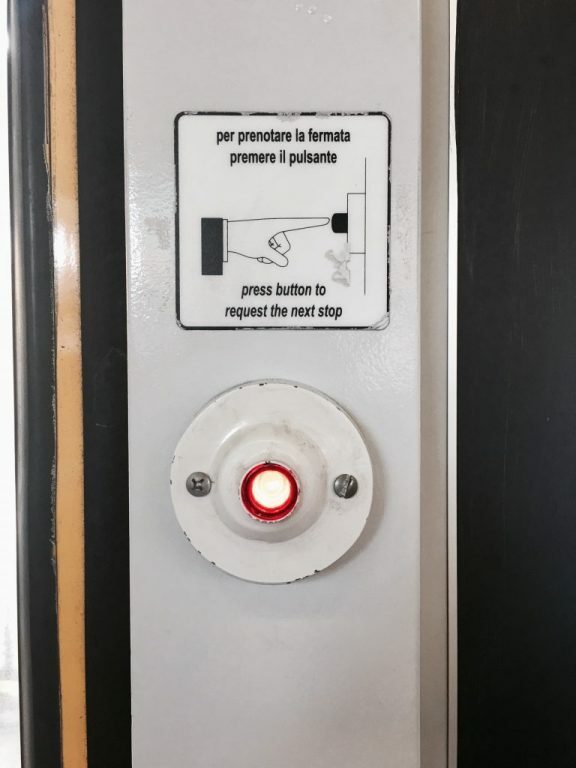 When you need to step out, click on the button to request the stop. If nobody is requesting it, the driver will not stop at all. Here is a type of button. You are out. Don’t throw the ticket away. Remember you can still use it for the next ride, as tickets normally last at least 60/90 minutes. And now enjoy the rest of your day, or the evening, if you are back in your Italian accommodation.